Hopefully this works: https://www.facebook.com/notes/valerie-chest-coffman/chicken-tortilla-soup/9183242397. If not, you can find it on my facebook page under notes --> Chicken Tortilla Soup. This is a mild tortilla soup because I don't do spice. It says 1 medium zucchini because that's what the original called for, but we have added up to 3 and it still tastes great! Plus my husband actually likes the soup a little chunkier with all the zucchini. Also, once I found corn and black bean salsa, I've stopped using other kinds. I've thought about adding more black beans, because they taste so good in there! I actually have a jar of corn and black bean salsa I didn't know what to do with. Looks like that recipe will help me with two mystery ingredients. Thanks! I cannot believe you've never had success with zucchini here. I do remember our prolific crops in the Midwest, but my in-laws's garden has always produced generous amounts of zucchini as well. Thank you for the recipe. I can't wait to try them! 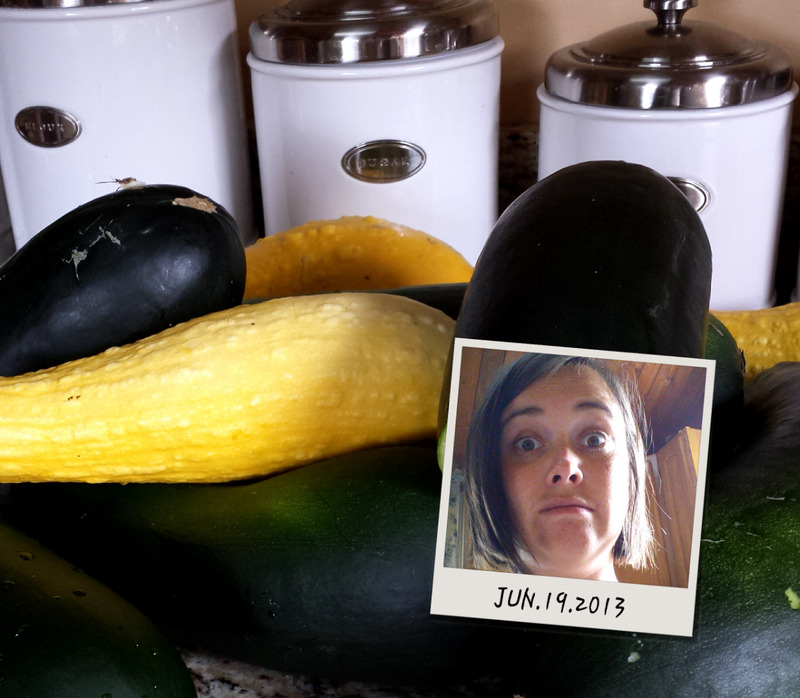 1) Leah, who studied Italian, noted that zucchini is actually a plural word in Italian. The singular form would be zucchino. We decided the reason one never refers to a zucchino is because it never comes singly. 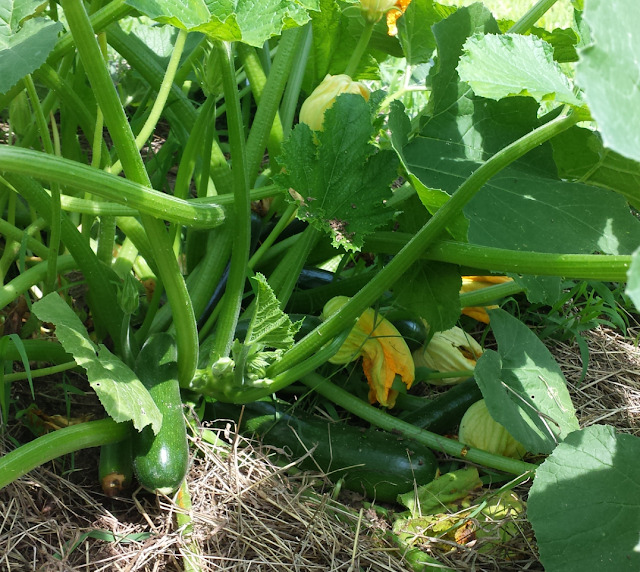 2) Garden Rule #1- Never plant more than one zucchini plant. Better yet, share one plant between yourself and a neighbor. 3) Doc Euler gave us some amazing zucchini relish once. There is no way to make it better by leaving out the zucchini. I will see if I can get it for you. And here I always thought that garden rule #1 was - never plant mint in the ground! Someone on Facebook also mentioned zucchini relish. If you can get me the recipe, that'd be great. It sounds amazing! This was great! I love the "Zucchini quick bread = have a third slice." It's so true - why do we think that throwing in a little vegetable makes any recipe healthy? I haven't had a zucchini dilemma yet, but I will be filing away all of your successes for future reference. Thanks! I realize zucchini season is almost over by the time I'm writing this, but I just started reading your charming blog and thought I'd weigh in. For next year, anyway. 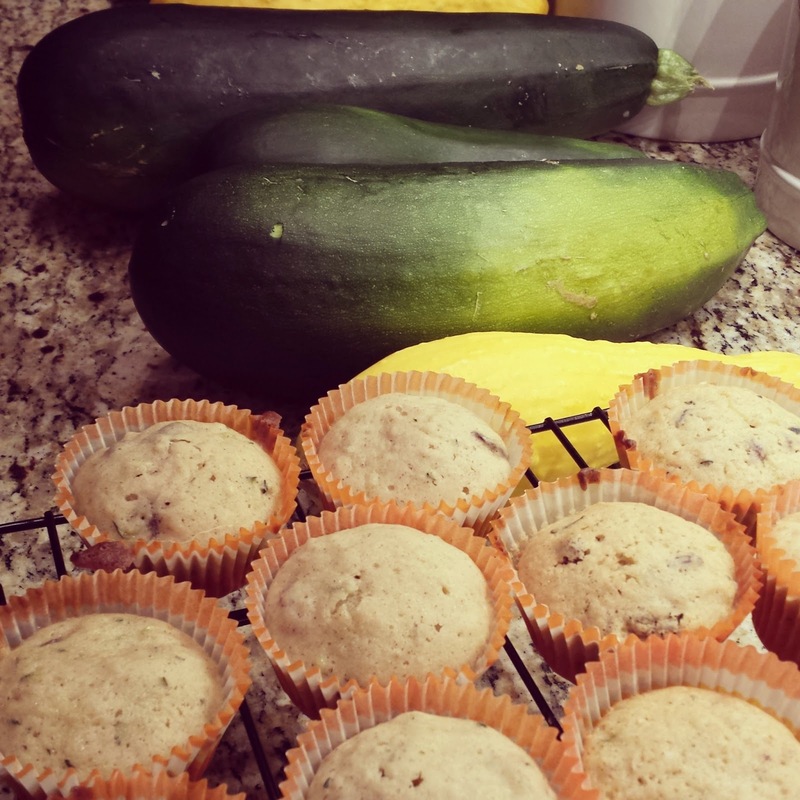 I have a love/hate relationship with zucchini myself, and although I do have a chocolate zucchini cake recipe that I like, and I do substitute zucchini in my favorite banana bread recipe with good results, I do like to showcase the vegetable itself from time to time, also. Here's an interesting recipe from epicurious.com that calls for eggplant, but I've subbed zucchini before and liked it. http://www.epicurious.com/recipes/food/views/Marinated-Eggplant-with-Mint-109747 - I serve mine with goat cheese on toasted bread (walnut bread is nice, or Publix has a lovely cranberry nut bread). I've also made a carrot salad recipe (yogurt, honey, lemon juice) and done half and half zucchini and carrots. THAT was yummy. And a friend of mine made a zucchini salad with tomatoes and olives (I think) with a vinaigrette, but the cool thing about that was that she used a vegetable peeler to shave the zucchini into long ribbons. Mainly I just roast my zucchini (along with all the other vegetables in my house) all at once (well, on different baking sheets) in the same oven, and plop it on, in, and near anything else that I happen to be eating at the moment. This year I branched out on my smoothie repertoire with beets and kale, so why not zucchini? If you haven't read the book An Everlasting Meal by Tamar Adler, you should. It changed my whole perspective on cooking (and maybe some other things, too). I feel like you would identify.